You want to fulfill specific unique customer needs? And you want to create or maintain the standard character of your software (-intensive) product? A lot of companies are struggling with this challenge. Designing appropriate tailorability is one of the hardest problems in software product design. After lots of discussions in trainings and consulting engagements, we have created a brand-new 2-day training offering on this subject in cooperation with ecambria (www.ecambria-systems.com) whose Oliver Stiemerling is a leading expert on the technical aspects of tailorability. On day 1 we look at the business aspects, on day 2 at the technical aspects. You learn why you need to do it right, and how to do it right. Product management consists of product strategy, planning and product-related orchestration of the functional areas of the company. The objective is the product’s sustainable economic success across its life cycle. The product management role requires a high degree of management competence and orchestration across organizational structures, often without a hierarchical management position. Software product management is not only utilized by software product vendors, but also by vendors of software-intensive products and services in other industries and in corporate IT organizations. Since software is very special and different from physical components, product management must take these characteristics into account. The combination of high complexity and frequency of change as well as the need for value-based pricing have a significant impact on the work of software product management. The requirements for a product manager are high. A combination of technical and domain knowledge is needed as well as business sense, i.e. the ability to understand and influence the economic as well as the technical and domain aspects of the product, its customers and its market. For the orchestration of the functional areas of the organization, being a team player, able to communicate and able to deal with conflict are big advantages. In our consulting projects and trainings on software product management as well as in ISPMA (International Software Product Management Association) we frequently work with successful and experienced product managers who share their experiences, tips and tricks with us; also with researchers who involve us in their projects and discuss their results with us. So we are able to expand our own expertise. Our customers and training participants benefit from this. And it is reflected in our publications. combining best industry practices with 20 years of hands-on experience. 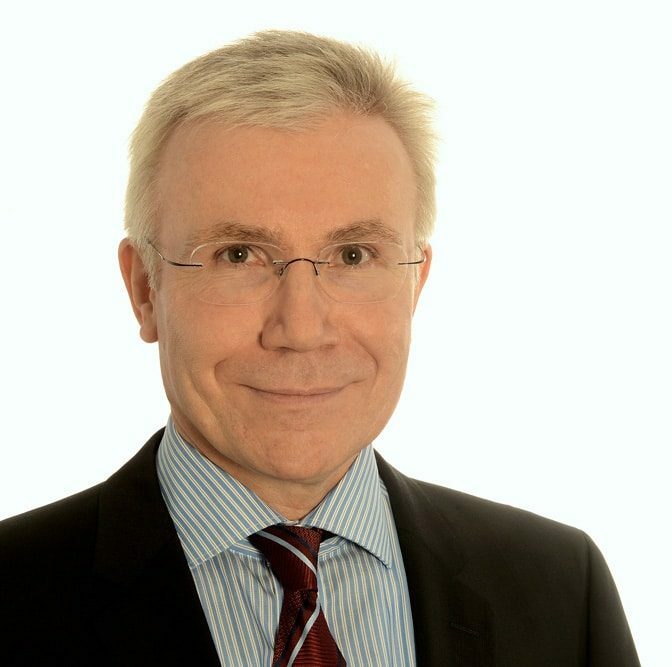 Our CEO Hans-Bernd Kittlaus is internationally recognized as thought leader on SPM with a high number of publications and invited presentations. What is the right strategy for your product to achieve business success in changing times? Utilize the business model canvas to make your strategic decisions, get feedback faster and make informed adjustments. How can you as a product manager influence strategic decisions on the corporate or business unit level? And how do you get the market data to base your decisions on? How can you implement your vision and strategy in a structured & efficient way? Utilize experimental approaches like customer discovery in combination with analytical approaches to make informed business choices, accelerate implementation and drive change aligned with new approaches in development like DevOps and continuous development, integration and delivery. How can you as a product manager make sure that your colleagues in the other functional units of your company support your product in the best possible way? Learn to convince, persuade, influence and drive change through role play, based on a thorough understanding of underlying motivations. The trainings will focus on methods and their practical application, i.e. there will be sufficient room for realistic case studies and exercises. Certification is offered for each training. Participants can be product managers who already have the ISPMA Foundation Level Certificate or comparable SPM experience of at least 3 years. They may work in the software industry, or with vendors of software-intensive products and services in other industries, or with corporate IT organizations in all industries. InnoTivum provides these Excellence Level Trainings both as public and in-house trainings. The authors: Hans-Bernd Kittlaus is the Chairman of ISPMA and owner and managing director of InnoTivum Consulting, Germany. Samuel Fricker is Board Member of ISPMA and Professor at FHNW, Switzerland. InnoTivum provides training, consulting and coaching for software-related organizations in all industries in the areas of product management for software (-intensive) products, pricing, strategy, organizational structure, roles and processes. The conference got enthusiastic feedback from the participants. Hans-Bernd Kittlaus was one of the organizers and speakers. See program and photo impressions here. The Update is published every month with links to valuable articles and other information for all product people. 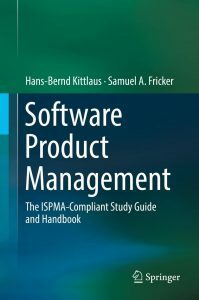 Hans-Bernd Kittlaus talks about ISPMA’s SPM Framework and other topics and answers questions here.